Not all these factors are unique to climate science, but the heavy influence of politics has served to amplify the role of the other factors. By cultural factors, I primarily refer to the change in the scientific paradigm from a dialectic opposition between theory and observation to an emphasis on simulation and observational programs. The latter serves to almost eliminate the dialectical focus of the former. Whereas the former had the potential for convergence, the latter is much less effective. The institutional factor has many components. One is the inordinate growth of administration in universities and the consequent increase in importance of grant overhead. This leads to an emphasis on large programs that never end. Another is the hierarchical nature of formal scientific organizations whereby a small executive council can speak on behalf of thousands of scientists as well as govern the distribution of ‘carrots and sticks’ whereby reputations are made and broken. The above factors are all amplified by the need for government funding. When an issue becomes a vital part of a political agenda, as is the case with climate, then the politically desired position becomes a goal rather than a consequence of scientific research. This paper will deal with the origin of the cultural changes and with specific examples of the operation and interaction of these factors. In particular, we will show how political bodies act to control scientific institutions, how scientists adjust both data and even theory to accommodate politically correct positions, and how opposition to these positions is disposed of. Although the focus of this paper is on climate science, some of the problems pertain to science more generally. Science has traditionally been held to involve the creative opposition of theory and observation wherein each tests the other in such a manner as to converge on a better understanding of the natural world. Success was rewarded by recognition, though the degree of recognition was weighted according to both the practical consequences of the success and the philosophical and aesthetic power of the success. As science undertook more ambitious problems, and the cost and scale of operations increased, the need for funds undoubtedly shifted emphasis to practical relevance though numerous examples from the past assured a strong base level of confidence in the utility of science. Moreover, the many success stories established ‘science’ as a source of authority and integrity. Thus, almost all modern movements claimed scientific foundations for their aims. Early on, this fostered a profound misuse of science, since science is primarily a successful mode of inquiry rather than a source of authority. Until the post World War II period, little in the way of structure existed for the formal support of science by government (at least in the US which is where my own observations are most relevant). In the aftermath of the Second World War, the major contributions of science to the war effort (radar, the A-bomb), to health (penicillin), etc. were evident. Vannevar Bush (in his report, Science: The Endless Frontier, 1945) noted the many practical roles that validated the importance of science to the nation, and argued that the government need only adequately support basic science in order for further benefits to emerge. The scientific community felt this paradigm to be an entirely appropriate response by a grateful nation. The next 20 years witnessed truly impressive scientific productivity which firmly established the United States as the creative center of the scientific world. The Bush paradigm seemed amply justified. (This period and its follow-up are also discussed by Miller, 2007, with special but not total emphasis on the NIH (National Institutes of Health).) However, something changed in the late 60’s. In a variety of fields it has been suggested that the rate of new discoveries and achievements slowed appreciably (despite increasing publications) , and it is being suggested that either the Bush paradigm ceased to be valid or that it may never have been valid in the first place. I believe that the former is correct. What then happened in the 1960’s to produce this change? It is my impression that by the end of the 60’s scientists, themselves, came to feel that the real basis for support was not gratitude (and the associated trust that support would bring further benefit) but fear: fear of the Soviet Union, fear of cancer, etc. Many will conclude that this was merely an awakening of a naive scientific community to reality, and they may well be right. However, between the perceptions of gratitude and fear as the basis for support lies a world of difference in incentive structure. If one thinks the basis is gratitude, then one obviously will respond by contributions that will elicit more gratitude. The perpetuation of fear, on the other hand, militates against solving problems. This change in perception proceeded largely without comment. However, the end of the cold war, by eliminating a large part of the fear-base forced a reassessment of the situation. Most thinking has been devoted to the emphasis of other sources of fear: competitiveness, health, resource depletion and the environment. What may have caused this change in perception is unclear, because so many separate but potentially relevant things occurred almost simultaneously. The space race reinstituted the model of large scale focused efforts such as the moon landing program. For another, the 60’s saw the first major postwar funding cuts for science in the US. The budgetary pressures of the Vietnam War may have demanded savings someplace, but the fact that science was regarded as, to some extent, dispensable, came as a shock to many scientists. So did the massive increase in management structures and bureaucracy which took control of science out of the hands of working scientists. All of this may be related to the demographic pressures resulting from the baby boomers entering the workforce and the post -sputnik emphasis on science. Sorting this out goes well beyond my present aim which is merely to consider the consequences of fear as a perceived basis of support. Fear has several advantages over gratitude. Gratitude is intrinsically limited, if only by the finite creative capacity of the scientific community. Moreover, as pointed out by a colleague at MIT, appealing to people’s gratitude and trust is usually less effective than pulling a gun. In other words, fear can motivate greater generosity. Sputnik provided a notable example in this regard; though it did not immediately alter the perceptions of most scientists, it did lead to a great increase in the number of scientists, which contributed to the previously mentioned demographic pressure. Science since the sixties has been characterized by the large programs that this generosity encourages. Moreover, the fact that fear provides little incentive for scientists to do anything more than perpetuate problems, significantly reduces the dependence of the scientific enterprise on unique skills and talents. The combination of increased scale and diminished emphasis on unique talent is, from a certain point of view, a devastating combination which greatly increases the potential for the political direction of science, and the creation of dependent constituencies. With these new constituencies, such obvious controls as peer review and detailed accountability, begin to fail and even serve to perpetuate the defects of the system. Miller (2007) specifically addresses how the system especially favors dogmatism and conformity. The creation of the government bureaucracy, and the increasing body of regulations accompanying government funding, called, in turn, for a massive increase in the administrative staff at universities and research centers. The support for this staff comes from the overhead on government grants, and, in turn, produces an active pressure for the solicitation of more and larger grants . One result of the above appears to have been the deemphasis of theory because of its intrinsic difficulty and small scale, the encouragement of simulation instead (with its call for large capital investment in computation), and the encouragement of large programs unconstrained by specific goals . In brief, we have the new paradigm where simulation and programs have replaced theory and observation, where government largely determines the nature of scientific activity, and where the primary role of professional societies is the lobbying of the government for special advantage. This new paradigm for science and its dependence on fear based support may not constitute corruption per se, but it does serve to make the system particularly vulnerable to corruption. Much of the remainder of this paper will illustrate the exploitation of this vulnerability in the area of climate research. The situation is particularly acute for a small weak field like climatology. As a field, it has traditionally been a subfield within such disciplines as meteorology, oceanography, geography, geochemistry, etc. These fields, themselves are small and immature. At the same time, these fields can be trivially associated with natural disasters. Finally, climate science has been targeted by a major political movement, environmentalism, as the focus of their efforts, wherein the natural disasters of the earth system, have come to be identified with man’s activities – engendering fear as well as an agenda for societal reform and control. The remainder of this paper will briefly describe how this has been playing out with respect to the climate issue. The above described changes in scientific culture were both the cause and effect of the growth of ‘big science,’ and the concomitant rise in importance of large organizations. However, all such organizations, whether professional societies, research laboratories, advisory bodies (such as the national academies), government departments and agencies (including NASA, NOAA, EPA, NSF, etc. ), and even universities are hierarchical structures where positions and policies are determined by small executive councils or even single individuals. This greatly facilitates any conscious effort to politicize science via influence in such bodies where a handful of individuals (often not even scientists) speak on behalf of organizations that include thousands of scientists, and even enforce specific scientific positions and agendas. The temptation to politicize science is overwhelming and longstanding. Public trust in science has always been high, and political organizations have long sought to improve their own credibility by associating their goals with ‘science’ – even if this involves misrepresenting the science. Professional societies represent a somewhat special case. Originally created to provide a means for communication within professions – organizing meetings and publishing journals – they also provided, in some instances, professional certification, and public outreach. The central offices of such societies were scattered throughout the US, and rarely located in Washington. Increasingly, however, such societies require impressive presences in Washington where they engage in interactions with the federal government. Of course, the nominal interaction involves lobbying for special advantage, but increasingly, the interaction consists in issuing policy and scientific statements on behalf of the society. Such statements, however, hardly represent independent representation of membership positions. For example, the primary spokesman for the American Meteorological Society in Washington is Anthony Socci who is neither an elected official of the AMS nor a contributor to climate science. Rather, he is a former staffer for Al Gore. Returning to the matter of scientific organizations, we find a variety of patterns of influence. The most obvious to recognize (though frequently kept from public view), consists in prominent individuals within the environmental movement simultaneously holding and using influential positions within the scientific organization. Thus, John Firor long served as administrative director of the National Center for Atmospheric Research in Boulder, Colorado. This position was purely administrative, and Firor did not claim any scientific credentials in the atmospheric sciences at the time I was on the staff of NCAR. However, I noticed that beginning in the 1980’s, Firor was frequently speaking on the dangers of global warming as an expert from NCAR. When Firor died last November, his obituary noted that he had also been Board Chairman at Environmental Defense– a major environmental advocacy group – from 1975-1980 . The UK Meteorological Office also has a board, and its chairman, Robert Napier, was previously the Chief Executive for World Wildlife Fund – UK. Bill Hare, a lawyer and Campaign Director for Greenpeace, frequently speaks as a ‘scientist’ representing the Potsdam Institute, Germany’s main global warming research center. John Holdren, who currently directs the Woods Hole Research Center (an environmental advocacy center not to be confused with the far better known Woods Hole Oceanographic Institution, a research center), is also a professor in Harvard’s Kennedy School of Government, and has served as president of the American Association for the Advancement of Science among numerous other positions including serving on the board of the MacArthur Foundation from 1991 until 2005. He was also a Clinton-Gore Administration spokesman on global warming. The making of academic appointments to global warming alarmists is hardly a unique occurrence. The case of Michael Oppenheimer is noteworthy in this regard. With few contributions to climate science (his postdoctoral research was in astro-chemistry), and none to the physics of climate, Oppenheimer became the Barbara Streisand Scientist at Environmental Defense . He was subsequently appointed to a professorship at Princeton University, and is now, regularly, referred to as a prominent climate scientist by Oprah (a popular television hostess), NPR (National Public Radio), etc. To be sure, Oppenheimer did coauthor an early absurdly alarmist volume (Oppenheimer and Robert Boyle, 1990: Dead Heat, The Race Against the Greenhouse Effect), and he has served as a lead author with the IPCC (Intergovernmental Panel on Climate Change) . The situation with America’s National Academy of Science is somewhat more complicated. The Academy is divided into many disciplinary sections whose primary task is the nomination of candidates for membership in the Academy . Typically, support by more than 85% of the membership of any section is needed for nomination. However, once a candidate is elected, the candidate is free to affiliate with any section. The vetting procedure is generally rigorous, but for over 20 years, there was a Temporary Nominating Group for the Global Environment to provide a back door for the election of candidates who were environmental activists, bypassing the conventional vetting procedure. Members, so elected, proceeded to join existing sections where they hold a veto power over the election of any scientists unsympathetic to their position. Moreover, they are almost immediately appointed to positions on the executive council, and other influential bodies within the Academy. One of the members elected via the Temporary Nominating Group, Ralph Cicerone, is now president of the National Academy. Prior to that, he was on the nominating committee for the presidency. It should be added that there is generally only a single candidate for president. Others elected to the NAS via this route include Paul Ehrlich, James Hansen, Steven Schneider, John Holdren and Susan Solomon. It is, of course, possible to corrupt science without specifically corrupting institutions. For example, the environmental movement often cloaks its propaganda in scientific garb without the aid of any existing scientific body. One technique is simply to give a name to an environmental advocacy group that will suggest to the public, that the group is a scientific rather than an environmental group. Two obvious examples are the Union of Concerned Scientists and the Woods Hole Research Center [9,10]. The former conducted an intensive advertising campaign about ten years ago in which they urged people to look to them for authoritative information on global warming. This campaign did not get very far – if only because the Union of Concerned Scientists had little or no scientific expertise in climate. A possibly more effective attempt along these lines occurred in the wake of Michael Crichton’s best selling adventure, State of Fear, which pointed out the questionable nature of the global warming issue, as well as the dangers to society arising from the exploitation of this issue. Environmental Media Services (a project of Fenton Communications, a large public relations firm serving left wing and environmental causes; they are responsible for the alar scare as well as Cindy Sheehan’s anti-war campaign.) created a website, realclimate.org, as an ‘authoritative’ source for the ‘truth’ about climate. This time, real scientists who were also environmental activists, were recruited to organize this web site and ‘discredit’ any science or scientist that questioned catastrophic anthropogenic global warming. The web site serves primarily as a support group for believers in catastrophe, constantly reassuring them that there is no reason to reduce their worrying. Of course, even the above represent potentially unnecessary complexity compared to the longstanding technique of simply publicly claiming that all scientists agree with whatever catastrophe is being promoted. Newsweek already made such a claim in 1988. Such a claim serves at least two purposes. First, the bulk of the educated public is unable to follow scientific arguments; ‘knowing’ that all scientists agree relieves them of any need to do so. Second, such a claim serves as a warning to scientists that the topic at issue is a bit of a minefield that they would do well to avoid. The myth of scientific consensus is also perpetuated in the web’s Wikipedia where climate articles are vetted by William Connolley, who regularly runs for office in England as a Green Party candidate. No deviation from the politically correct line is permitted. Perhaps the most impressive exploitation of climate science for political purposes has been the creation of the Intergovernmental Panel on Climate Change (IPCC) by two UN agencies, UNEP (United Nations Environmental Program) and WMO (World Meteorological Organization), and the agreement of all major countries at the 1992 Rio Conference to accept the IPCC as authoritative. Formally, the IPCC summarizes the peer reviewed literature on climate every five years. On the face of it, this is an innocent and straightforward task. One might reasonably wonder why it takes 100’s of scientists five years of constant travelling throughout the world in order to perform this task. The charge to the IPCC is not simply to summarize, but rather to provide the science with which to support the negotiating process whose aim is to control greenhouse gas levels. This is a political rather than a scientific charge. That said, the participating scientists have some leeway in which to reasonably describe matters, since the primary document that the public associates with the IPCC is not the extensive report prepared by the scientists, but rather the Summary for Policymakers which is written by an assemblage of representative from governments and NGO’s, with only a small scientific representation [11, 12]. Given the above, it would not be surprising if working scientists would make special efforts to support the global warming hypothesis. There is ample evidence that this is happening on a large scale. A few examples will illustrate this situation. Data that challenges the hypothesis are simply changed. In some instances, data that was thought to support the hypothesis is found not to, and is then changed. The changes are sometimes quite blatant, but more often are somewhat more subtle. The crucial point is that geophysical data is almost always at least somewhat uncertain, and methodological errors are constantly being discovered. Bias can be introduced by simply considering only those errors that change answers in the desired direction. The desired direction in the case of climate is to bring the data into agreement with models, even though the models have displayed minimal skill in explaining or predicting climate. Model projections, it should be recalled, are the basis for our greenhouse concerns. That corrections to climate data should be called for, is not at all surprising, but that such corrections should always be in the ‘needed’ direction is exceedingly unlikely. Although the situation suggests overt dishonesty, it is entirely possible, in today’s scientific environment, that many scientists feel that it is the role of science to vindicate the greenhouse paradigm for climate change as well as the credibility of models. Comparisons of models with data are, for example, referred to as model validation studies rather than model tests. The first two examples involve paleoclimate simulations and reconstructions. Here, the purpose has been to show that both the models and the greenhouse paradigm can explain past climate regimes, thus lending confidence to the use of both to anticipate future changes. In both cases (the Eocene about 50 million years ago, and the Last Glacial Maximum about 18 thousand years ago), the original data were in conflict with the greenhouse paradigm as implemented in current models, and in both cases, lengthy efforts were made to bring the data into agreement with the models. In the first example, the original data analysis for the Eocene (Shackleton and Boersma, 1981) showed the polar regions to have been so much warmer than the present that a type of alligator existed on Spitzbergen as did florae and fauna in Minnesota that could not have survived frosts. At the same time, however, equatorial temperatures were found to be about 4K colder than at present. The first attempts to simulate the Eocene (Barron, 1987) assumed that the warming would be due to high levels of CO2, and using a climate GCM (General Circulation Model), he obtained relatively uniform warming at all latitudes, with the meridional gradients remaining much as they are today. This behavior continues to be the case with current GCMs (Huber, 2008). As a result, paleoclimatologists have devoted much effort to ‘correcting’ their data, but, until very recently, they were unable to bring temperatures at the equator higher than today’s (Schrag, 1999, Pearson et al, 2000). However, the latest paper (Huber, 2008) suggests that the equatorial data no longer constrains equatorial temperatures at all, and any values may have existed. All of this is quite remarkable since there is now evidence that current meridional distributions of temperature depend critically on the presence of ice, and that the model behavior results from improper tuning wherein present distributions remain even when ice is absent. The second example begins with the results of a major attempt to observationally reconstruct the global climate of the last glacial maximum (CLIMAP, 1976). Here it was found that although extratropical temperatures were much colder, equatorial temperatures were little different from today’s. There were immediate attempts to simulate this climate with GCMs and reduced levels of CO2. Once again the result was lower temperatures at all latitudes (Bush and Philander, 1998a,b), and once again, numerous efforts were made to ‘correct’ the data. After much argument, the current position appears to be that tropical temperatures may have been a couple of degrees cooler than today’s. However, papers appeared claiming far lower temperatures (Crowley, 2000). We will deal further with this issue in the next section where we describe papers that show that the climate associated with ice ages is well described by the Milankovich Hypothesis that does not call for any role for CO2. Both of the above examples probably involved legitimate corrections, but only corrections that sought to bring observations into agreement with models were initially considered, thus avoiding the creative conflict between theory and data that has characterized the past successes of science. To be sure, however, the case of the Last Glacial Maximum shows that climate science still retains a capacity for self-correction. The next example has achieved a much higher degree of notoriety than the previous two. In the first IPCC assessment (IPCC, 1990), the traditional picture of the climate of the past 1100 years was presented. In this picture, there was a medieval warm period that was somewhat warmer than the present as well as the little ice age that was cooler. The presence of a period warmer than the present in the absence of any anthropogenic greenhouse gases was deemed an embarrassment for those holding that present warming could only be accounted for by the activities of man. Not surprisingly, efforts were made to get rid of the medieval warm period (According to Demming, 2005, Jonathan Overpeck, in an email, remarked that one had to get rid of the medieval warm period. Overpeck is one of organizers in Appendix 1.). The most infamous effort was that due to Mann et al (1998, 1999 ) which used primarily a few handfuls of tree ring records to obtain a reconstruction of Northern Hemisphere temperature going back eventually a thousand years that no longer showed a medieval warm period. Indeed, it showed a slight cooling for almost a thousand years culminating in a sharp warming beginning in the nineteenth century. The curve came to be known as the hockey stick, and featured prominently in the next IPCC report, where it was then suggested that the present warming was unprecedented in the past 1000 years. The study immediately encountered severe questions concerning both the proxy data and its statistical analysis (interestingly, the most penetrating critiques came from outside the field: McIntyre and McKitrick, 2003, 2005a,b). This led to two independent assessments of the hockey stick (Wegman,2006, North, 2006), both of which found the statistics inadequate for the claims. The story is given in detail in Holland (2007). Since the existence of a medieval warm period is amply documented in historical accounts for the North Atlantic region (Soon et al, 2003), Mann et al countered that the warming had to be regional but not characteristic of the whole northern hemisphere. Given that an underlying assumption of their analysis was that the geographic pattern of warming had to have remained constant, this would have invalidated the analysis ab initio without reference to the specifics of the statistics. Indeed, the 4th IPCC (IPCC, 2007) assessment no longer featured the hockey stick, but the claim that current warming is unprecedented remains, and Mann et al’s reconstruction is still shown in Chapter 6 of the 4th IPCC assessment, buried among other reconstructions. Here too, we will return to this matter briefly in the next section. The fourth example is perhaps the strangest. For many years, the global mean temperature record showed cooling from about 1940 until the early 70’s. This, in fact, led to the concern for global cooling during the 1970’s. The IPCC regularly, through the 4th assessment, boasted of the ability of models to simulate this cooling (while failing to emphasize that each model required a different specification of completely undetermined aerosol cooling in order to achieve this simulation (Kiehl, 2007)). Improvements in our understanding of aerosols are increasingly making such arbitrary tuning somewhat embarrassing, and, no longer surprisingly, the data has been ‘corrected’ to get rid of the mid 20th century cooling (Thompson et al, 2008). This may, in fact, be a legitimate correction (http://www.climateaudit.org/?p=3114). The embarrassment may lie in the continuous claims of modelers to have simulated the allegedly incorrect data. The fifth example deals with the fingerprint of warming. It has long been noted that greenhouse warming is primarily centered in the upper troposphere (Lindzen, 1999) and, indeed, model’s show that the maximum rate of warming is found in the upper tropical troposphere (Lee, et al, 2007). 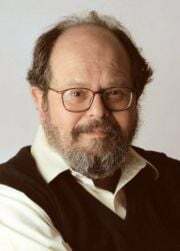 Lindzen (2007) noted that temperature data from both satellites and balloons failed to show such a maximum. This, in turn, permitted one to bound the greenhouse contribution to surface warming, and led to an estimate of climate sensitivity that was appreciably less than found in current models. Once the implications of the observations were clearly identified, it was only a matter of time before the data were ‘corrected.’ The first attempt came quickly (Vinnikov et al, 2006) wherein the satellite data was reworked to show large warming in the upper troposphere, but the methodology was too blatant for the paper to be commonly cited . There followed an attempt wherein the temperature data was rejected, and where temperature trends were inferred from wind data (Allen and Sherwood, 2008). The sixth example takes us into astrophysics. Since the 1970’s, considerable attention has been given to something known as the Early Faint Sun Paradox. This paradox was first publicized by Sagan and Mullen (1972). They noted that the standard model for the sun robustly required that the sun brighten with time so that 2-3 billion years ago, it was about 30% dimmer than it is today (recall that a doubling of CO2 corresponds to only a 2% change in the radiative budget). One would have expected that the earth would have been frozen over, but the geological evidence suggested that the ocean was unfrozen. Attempts were made to account for this by an enhanced greenhouse effect. Sagan and Mullen (1972) suggested an ammonia rich atmosphere might work. Others suggested an atmosphere with as much as several bars of CO2 (recall that currently CO2 is about 380 parts per million of a 1 bar atmosphere). Finally, Kasting and colleagues tried to resolve the paradox with large amounts of methane. For a variety of reasons, all these efforts were deemed inadequate  (Haqqmisra et al, 2008). There followed a remarkable attempt to get rid of the standard model of the sun (Sackman and Boothroyd, 2003). This is not exactly the same as altering the data, but the spirit is the same. The paper claimed to have gotten rid of the paradox. However, in fact, the altered model still calls for substantial brightening, and, moreover, does not seem to have gotten much acceptance among solar modelers. The above examples do not include the most convenient means whereby nominal scientists can support global warming alarm: namely, the matter of impacts. Here, scientists who generally have no knowledge of climate physics at all, are supported to assume the worst projections of global warming and imaginatively suggest the implications of such warming for whatever field they happen to be working in. This has led to the bizarre claims that global warming will contribute to kidney stones, obesity, cockroaches, noxious weeds, sexual imbalance in fish, etc. The scientists who participate in such exercises quite naturally are supportive of the catastrophic global warming hypothesis despite their ignorance of the underlying science . It is often argued that in science the truth must eventually emerge. This may well be true, but, so far, attempts to deal with the science of climate change objectively have been largely forced to conceal such truths as may call into question global warming alarmism (even if only implicitly). The usual vehicle is peer review, and the changes imposed were often made in order to get a given paper published. Publication is, of course, essential for funding, promotion, etc. The following examples are but a few from cases that I am personally familiar with. These, almost certainly, barely scratch the surface. What is generally involved, is simply the inclusion of an irrelevant comment supporting global warming accepted wisdom. When the substance of the paper is described, it is generally claimed that the added comment represents the ‘true’ intent of the paper. In addition to the following examples, Appendix 2 offers excellent examples of ‘spin control.’. As mentioned in the previous section, one of the reports assessing the Mann et al Hockey Stick was prepared by a committee of the US National Research Counsel (a branch of the National Academy) chaired by Gerald North (North, 2006). The report concluded that the analysis used was totally unreliable for periods longer ago than about 400 years. In point of fact, the only basis for the 400 year choice was that this brought one to the midst of the Little Ice Age, and there is essentially nothing surprising about a conclusion that we are now warmer. Still, without any basis at all, the report also concluded that despite the inadequacy of the Mann et al analysis, the conclusion might still be correct. It was this baseless conjecture that received most of the publicity surrounding the report. In a recent paper, Roe (2006) showed that the orbital variations in high latitude summer insolation correlate excellently with changes in glaciation – once one relates the insolation properly to the rate of change of glaciation rather than to the glaciation itself. This provided excellent support for the Milankovich hypothesis. Nothing in the brief paper suggested the need for any other mechanism. Nonetheless, Roe apparently felt compelled to include an irrelevant caveat stating that the paper had no intention of ruling out a role for CO2. Choi and Ho (2006, 2008) published interesting papers on the optical properties of high tropical cirrus that largely confirmed earlier results by Lindzen, Chou and Hou (2001) on an important negative feedback (the iris effect – something that we will describe later in this section) that would greatly reduce the sensitivity of climate to increasing greenhouse gases. A proper comparison required that the results be normalized by a measure of total convective activity, and, indeed, such a comparison was made in the original version of Choi and Ho’s paper. However, reviewers insisted that the normalization be removed from the final version of the paper which left the relationship to the earlier paper unclear. In another example, I had originally submitted a paper mentioned in the previous section (Lindzen, 2007) to American Scientist, the periodical of the scientific honorary society in the US, Sigma Xi, at the recommendation of a former officer of that society. There followed a year of discussions, with an editor, David Schneider, insisting that I find a coauthor who would illustrate why my paper was wrong. He argued that publishing something that contradicted the IPCC was equivalent to publishing a paper that claimed that ‘Einstein’s general theory of relativity is bunk.’ I suggested that it would be more appropriate for American Scientist to solicit a separate paper taking a view opposed to mine. This was unacceptable to Schneider, so I ended up publishing the paper elsewhere. Needless to add, Schneider has no background in climate physics. At the same time, a committee consisting almost entirely in environmental activists led by Peter Raven, the ubiquitous John Holdren, Richard Moss, Michael MacCracken, and Rosina Bierbaum were issuing a joint Sigma Xi – United Nations Foundation (the latter headed by former Senator and former Undersecretary of State Tim Wirth  and founded by Ted Turner) report endorsing global warming alarm, to a degree going far beyond the latest IPCC report. I should add that simple disagreement with conclusions of the IPCC has become a common basis for rejecting papers for publication in professional journals – as long as the disagreement suggests reduced alarm. An example will be presented later in this section. Despite all the posturing about global warming, more and more people are becoming aware of the fact that global mean temperatures have not increased statistically significantly since 1995. One need only look at the temperature records posted on the web by the Hadley Centre. The way this is acknowledged in the literature forms a good example of the spin that is currently required to maintain global warming alarm. Recall that the major claim of the IPCC 4th Assessment was that there was a 90% certainty that most of the warming of the preceding 50 years was due to man (whatever that might mean). This required the assumption that what is known as natural internal variability (ie, the variability that exists without any external forcing and represents the fact that the climate system is never in equilibrium) is adequately handled by the existing climate models. The absence of any net global warming over the last dozen years or so, suggests that this assumption may be wrong. Smith et al (2007) (Smith is with the Hadley Centre in the UK) acknowledged this by pointing out that initial conditions had to reflect the disequilibrium at some starting date, and when these conditions were ‘correctly’ chosen, it was possible to better replicate the period without warming. This acknowledgment of error was accompanied by the totally unjustified assertion that global warming would resume with a vengeance in 2009 . As 2009 approaches and the vengeful warming seems less likely to occur, a new paper came out (this time from the Max Planck Institute: Keenlyside et al, 2008) moving the date for anticipated resumption of warming to 2015. It is indeed a remarkable step backwards for science to consider models that have failed to predict the observed behavior of the climate to nonetheless have the same validity as the data . Tim Palmer, a prominent atmospheric scientist at the European Centre for Medium Range Weather Forecasting, is quoted by Fred Pearce (Pearce, 2008) in the New Scientist as follows: “Politicians seem to think that the science is a done deal,” says Tim Palmer. “I don’t want to undermine the IPCC, but the forecasts, especially for regional climate change, are immensely uncertain.” Pearce, however, continues “Palmer .. does not doubt that the Intergovernmental Panel on Climate Change (IPCC) has done a good job alerting the world to the problem of global climate change. But he and his fellow climate scientists are acutely aware that the IPCC’s predictions of how the global change will affect local climates are little more than guesswork. They fear that if the IPCC’s predictions turn out to be wrong, it will provoke a crisis in confidence that undermines the whole climate change debate. On top of this, some climate scientists believe that even the IPCC’s global forecasts leave much to be desired. …” Normally, one would think that undermining the credibility of something that is wrong is appropriate. Even in the present unhealthy state of science, papers that are overtly contradictory to the catastrophic warming scenario do get published (though not without generally being substantially watered down during the review process). They are then often subject to the remarkable process of ‘discreditation.’ This process consists in immediately soliciting attack papers that are published quickly as independent articles rather than comments. The importance of this procedure is as follows. Normally such criticisms are published as comments, and the original authors are able to respond immediately following the comment. Both the comment and reply are published together. By publishing the criticism as an article, the reply is published as a correspondence, which is usually delayed by several months, and the critics are permitted an immediate reply. As a rule, the reply of the original authors is ignored in subsequent references. In 2001, I published a paper (Lindzen, Chou and Hou) that used geostationary satellite data to suggest the existence of a strong negative feedback that we referred to as the Iris Effect. The gist of the feedback is that upper level stratiform clouds in the tropics arise by detrainment from cumulonimbus towers, that the radiative impact of the stratiform clouds is primarily in the infrared where they serve as powerful greenhouse components, and that the extent of the detrainment decreases markedly with increased surface temperature. The negative feedback resulted from the fact that the greenhouse warming due to the stratiform clouds diminished as the surface temperature increased, and increased as the surface temperature decreased – thus resisting the changes in surface temperature. The impact of the observed effect was sufficient to greatly reduce the model sensitivities to increasing CO2, and it was, moreover, shown that models failed to display the observed cloud behavior. The paper received an unusually intense review from four reviewers. In fact, this criticism was easily dismissed. The claim of Hartmann and Michelsen was that the effect we observed was due to the intrusion of midlatitude non- convective clouds into the tropics. If this were true, then the effect should have diminished as one restricted observations more closely to the equator, but as we showed (Lindzen, Chou and Hou, 2002), exactly the opposite was found. There were also separately published papers (again violating normal protocols allowing for immediate response) by Lin et al, 2002 and Fu, Baker and Hartmann, 2002, that criticized our paper by claiming that since the instruments on the geostationary satellite could not see the thin stratiform clouds that formed the tails of the clouds we could see, that we were not entitled to assume that the tails existed. Without the tails, the radiative impact of the clouds would be primarily in the visible where the behavior we observed would lead to a positive feedback; with the tails the effect is a negative feedback. The tails had long been observed, and the notion that they abruptly disappeared when not observed by an insufficiently sensitive sensor was absurd on the face of it, and the use of better instruments by Choi and Ho (2006, 2008) confirmed the robustness of the tails and the strong dominance of the infrared impact. However, as we have already seen, virtually any mention of the iris effect tends to be accompanied with a reference to the criticisms, a claim that the theory is ‘discredited,’ and absolutely no mention of the responses. This is even required of papers that are actually supporting the iris effect. Vincent Courtillot et al (2007) encountered a similar problem. (Courtillot, it should be noted, is the director of the Institute for the Study of the Globe at the University of Paris.) They found that time series for magnetic field variations appeared to correlate well with temperature measurements – suggesting a possible non-anthropogenic source of forcing. This was immediately criticized by Bard and Delaygue (2008), and Courtillot et al were given the conventional right to reply which they did in a reasonably convincing manner. What followed, however, was highly unusual. Raymond Pierrehumbert (a professor of meteorology at the University of Chicago and a fanatical environmentalist) posted a blog supporting Bard and Delaygue, accusing Courtillot et al of fraud, and worse. Alan Robock (a coauthor of Vinnikov et al mentioned in the preceding section) perpetuated the slander in a letter circulated to all officers of the American Geophysical Union. The matter was then taken up (in December of 2007) by major French newspapers (LeMonde, Liberation, and Le Figaro) that treated Pierrehumbert’s defamation as fact. As in the previous case, all references to the work of Courtillot et al refer to it as ‘discredited’ and no mention is made of their response. Moreover, a major argument against the position of Courtillot et al is that it contradicted the claim of the IPCC. In 2005, I was invited by Erneso Zedillo to give a paper at a symposium he was organizing at his Center for Sustainability Studies at Yale. The stated topic of the symposium was Global Warming Policy After 2012, and the proceedings were to appear in a book to by entitled Global Warming: Looking Beyond Kyoto. Only two papers dealing with global warming science were presented: mine and one by Stefan Rahmstorf of the Potsdam Institute. The remaining papers all essentially assumed an alarming scenario and proceeded to discuss economics, impacts, and policy. Rahmstorf and I took opposing positions, but there was no exchange at the meeting, and Rahmstorf had to run off to another meeting. As agreed, I submitted the manuscript of my talk, but publication was interminably delayed, perhaps because of the presence of my paper. In any event, the Brookings Institute (a centrist Democratic Party think tank) agreed to publish the volume. When the volume finally appeared (Zedillo, 2008), I was somewhat shocked to see that Rahmstorf’s paper had been modified from what he presented, and had been turned into an attack not only on my paper but on me personally . I had received no warning of this; nor was I given any opportunity to reply. Inquiries to the editor and the publisher went unanswered. Moreover, the Rahmstorf paper was moved so that it immediately followed my paper. The reader is welcome to get a copy of the exchange, including my response, on my web site (Lindzen-Rahmstorf Exchange, 2008), and judge the exchange for himself. One of the more bizarre tools of global warming revisionism is the posthumous alteration of skeptical positions. Thus, the recent deaths of two active and professionally prominent skeptics, Robert Jastrow (the founding director of NASA’s Goddard Institute for Space Studies, now headed by James Hansen), and Reid Bryson (a well known climatologist at the University of Wisconsin) were accompanied by obituaries suggesting deathbed conversions to global warming alarm. The death of another active and prominent skeptic, William Nierenberg (former director of the Scripps Oceanographic Institute), led to the creation of a Nierenberg Prize that is annually awarded to an environmental activist. The most recent recipient was James Hansen who Nierenberg detested. Perhaps the most extraordinary example of this phenomenon involves a paper by Singer, Starr, and Revelle (1991). In this paper, it was concluded that we knew too little about climate to implement any drastic measures. Revelle, it may be recalled, was the professor that Gore credits with introducing him to the horrors of CO2 induced warming. There followed an intense effort led by a research associate at Harvard, Justin Lancaster, in coordination with Gore staffers, to have Revelle’s name posthumously removed from the published paper. It was claimed that Singer had pressured an old and incompetent man to allow his name to be used. To be sure, everyone who knew Revelle, felt that he had been alert until his death. There followed a law suit by Singer, where the court found in Singer’s favor. The matter is described in detail in Singer (2003). Occasionally, prominent individual scientists do publicly express skepticism. The means for silencing them are fairly straightforward. Will Happer, director of research at the Department of Energy (and a professor of physics at Princeton University) was simply fired from his government position after expressing doubts about environmental issues in general. His case is described in Happer (2003). Michael Griffin, NASA’s administrator, publicly expressed reservations concerning global warming alarm in 2007. This was followed by a barrage of ad hominem attacks from individuals including James Hansen and Michael Oppenheimer. Griffin has since stopped making any public statements on this matter. Freeman Dyson, an acknowledged great in theoretical physics, managed to publish a piece in New York Review of Books (Dyson, 2008), where in the course of reviewing books by Nordhaus and Zedillo (the latter having been referred to earlier), he expressed cautious support for the existence of substantial doubt concerning global warming. This was followed by a series of angry letters as well as condemnation on the realclimate.org web site including ad hominem attacks. Given that Dyson is retired, however, there seems little more that global warming enthusiasts can do. However, we may hear of a deathbed conversion in the future. This paper has attempted to show how changes in the structure of scientific activity over the past half century have led to extreme vulnerability to political manipulation. In the case of climate change, these vulnerabilities have been exploited to a remarkable extent. The dangers that the above situation poses for both science and society are too numerous to be discussed in any sort of adequate way in this paper. It should be stressed that the climate change issue, itself, constitutes a major example of the dangers intrinsic to the structural changes in science. As concerns the specific dangers pertaining to the climate change issue, we are already seeing that the tentative policy moves associated with ‘climate mitigation’ are contributing to deforestation, food riots, potential trade wars, inflation, energy speculation and overt corruption as in the case of ENRON (one of the leading lobbyists for Kyoto prior to its collapse). There is little question that global warming has been exploited many governments and corporations (and not just by ENRON; Lehman Brothers, for example, was also heavily promoting global warming alarm, and relying on the advice of James Hansen, etc.) for their own purposes, but it is unclear to what extent such exploitation has played an initiating role in the issue. The developing world has come to realize that the proposed measures endanger their legitimate hopes to escape poverty, and, in the case of India, they have, encouragingly, led to an assessment of climate issues independent of the ‘official’ wisdom (Government of India, 2008 ). For purposes of this paper, however, I simply want to briefly note the specific implications for science and its interaction with society. Although society is undoubtedly aware of the imperfections of science, it has rarely encountered a situation such as the current global warming hysteria where institutional science has so thoroughly committed itself to policies which call for massive sacrifices in well being world wide. Past scientific errors did not lead the public to discard the view that science on the whole was a valuable effort. However, the extraordinarily shallow basis for the commitment to climate catastrophe, and the widespread tendency of scientists to use unscientific means to arouse the public’s concerns, is becoming increasingly evident, and the result could be a reversal of the trust that arose from the triumphs of science and technology during the World War II period. Further, the reliance by the scientific community on fear as a basis for support, may, indeed, have severely degraded the ability of science to usefully address problems that need addressing. It should also be noted that not all the lessons of the World War II period have been positive. Massive crash programs such as the Manhattan Project are not appropriate to all scientific problems. In particular, such programs are unlikely to be effective in fields where the basic science is not yet in place. Rather, they are best suited to problems where the needs are primarily in the realm of engineering. Although the change in scientific culture has played an important role in making science more vulnerable to exploitation by politics, the resolution of specific issues may be possible without explicitly addressing the structural problems in science. In the US, where global warming has become enmeshed in partisan politics, there is a natural opposition to exploitation which is not specifically based on science itself. However, the restoration of the traditional scientific paradigm will call for more serious efforts. Such changes are unlikely to come from any fiat. Nor is it likely to be implemented by the large science bureaucracies that have helped create the problem in the first place. A potentially effective approach would be to change the incentive structure of science. The current support mechanisms for science is one where the solution of a scientific problem is rewarded by ending support. This hardly encourages the solution of problems or the search for actual answers. Nor does it encourage meaningfully testing hypotheses. The alternative calls for a measure of societal trust, patience, and commitment to elitism that hardly seems consonant with the contemporary attitudes. It may, however, be possible to make a significant beginning by carefully reducing the funding for science. Many scientists would be willing to accept a lower level of funding in return for greater freedom and stability. Other scientists may find the trade-off unacceptable and drop out of the enterprise. The result, over a period of time, could be a gradual restoration of a better incentive structure. One ought not underestimate the institutional resistance to such changes, but the alternatives are proving to be much worse. Some years ago, I described some of what I have discussed here at a meeting in Erice (Lindzen, 2005). Richard Garwin (who some regard as the inventor of the H-bomb) rose indignantly to state that he did not want to hear such things. Quite frankly, I also don’t want to hear such things. However, I fear that ignoring such things will hardly constitute a solution, and a solution may be necessary for the sake of the scientific enterprise. Acknowledgments. The author wishes to thank Dennis Ambler, Willie Soon, Lubos Motl and Nigel Lawson for useful comments and assistance. 1. This paper was prepared for a meeting sponsored by Euresis (Associazone per la promozione e la diffusione della cultura e del lavoro scientifico) and the Templeton Foundation on Creativity and Creative Inspiration in Mathematics, Science, and Engineering: Developing a Vision for the Future. The meeting was held in San Marino from 29-31 August 2008. Its Proceedings are expected to be published in 2009. 2. At some level, this is obvious. Theoretical physics is still dealing with the standard model though there is an active search for something better. Molecular biology is still working off of the discovery of DNA. Many of the basic laws of physics resulted from individual efforts in the 17th-19th Centuries. The profound advances in technology should not disguise the fact that the bulk of the underlying science is more than 40 years old. This is certainly the case in the atmospheric and oceanic sciences. That said, it should not be forgotten that sometimes progress slows because the problem is difficult. Sometimes, it slows because the existing results are simply correct as is the case with DNA. Structural problems are not always the only factor involved. 3. It is sometimes thought that government involvement automatically implies large bureaucracies, and lengthy regulations. This was not exactly the case in the 20 years following the second world war. Much of the support in the physical sciences came from the armed forces for which science support remained a relatively negligible portion of their budgets. For example, meteorology at MIT was supported by the Air Force. Group grants were made for five year periods and renewed on the basis of a site visit. When the National Science Foundation was created, it functioned with a small permanent staff supplemented by ‘rotators’ who served on leave from universities for a few years. Unfortunately, during the Vietnam War, the US Senate banned the military from supporting non-military research (Mansfield Amendment). This shifted support to agencies whose sole function was to support science. That said, today all agencies supporting science have large ‘supporting’ bureaucracies. 5. A personal memoir from Al Grable sent to Sherwood Idso in 1993 is interesting in this regard. Grable served as a Department of Agriculture observer to the National Research Council’s National Climate Board. Such observers are generally posted by agencies to boards that they are funding. In any event, Grable describes a motion presented at a Board meeting in 1980 by Walter Orr Roberts, the director of the National Center for Atmospheric Research, and by Joseph Smagorinsky, director of NOAA’s Geophysical Fluid Dynamics Laboratory at Princeton, to censure Sherwood Idso for criticizing climate models with high sensitivities due to water vapor feedbacks (in the models), because of their inadequate handling of cooling due to surface evaporation. A member of that board, Sylvan Wittwer, noted that it was not the role of such boards to censure specific scientific positions since the appropriate procedure would be to let science decide in the fullness of time, and the matter was dropped. In point of fact, there is evidence that models do significantly understate the increase of evaporative cooling with temperature (Held and Soden, 2006). Moreover, this memoir makes clear that the water vapor feedback was considered central to the whole global warming issue from the very beginning. 6. It should be acknowledged that Oppenheimer has quite a few papers with climate in the title – especially in the last two years. However, these are largely papers concerned with policy and advocacy, assuming significant warming. Such articles probably constitute the bulk of articles on climate. It is probably also fair to say that such articles contribute little if anything to understanding the phenomenon. 7. Certain names and organizations come up repeatedly in this paper. This is hardly an accident. In 1989, following the public debut of the issue in the US in Tim Wirth’s and Al Gore’s famous Senate hearing featuring Jim Hansen associating the warm summer of 1988 with global warming, the Climate Action Network was created. This organization of over 280 ENGO’s has been at the center of the climate debates since then. The Climate Action Network, is an umbrella NGO that coordinates the advocacy efforts of its members, particularly in relation to the UN negotiations. Organized around seven regional nodes in North and Latin America, Western and Eastern Europe, South and Southeast Asia, and Africa, CAN represents the majority of environmental groups advocating on climate change, and it has embodied the voice of the environmental community in the climate negotiations since it was established. Center were instrumental in organizing the scientific workshops in Villach and Bellagio on Developing Policy Responses to Climate Change’ in 1987 as well as the Toronto Conference on the Changing Atmosphere in June 1988. It should be noted that the current director of the Woods Hole Research Center is John Holdren. In 1989, several months after the Toronto Conference, the emerging group of climate scientists and activists from the US, Europe, and developing countries were brought together at a meeting in Germany, with funding from Environmental Defense and the German Marshall Fund. The German Marshall Fund is still funding NGO activity in Europe: http://www.gmfus.org/event/detail.cfm?id=453&parent_type=E (Pulver, 2004). 8. The reports attributed to the National Academy are not, to any major extent, the work of Academy Members. Rather, they are the product of the National Research Council, which consists in a staff of over 1000 who are paid largely by the organizations soliciting the reports. The committees that prepare the reports are mostly scientists who are not Academy Members, and who serve without pay. 12. Appendix 3 is a recent op-ed from the Boston Globe, written by the aforementioned John Holdren. What is interesting about this piece is that what little science it invokes is overtly incorrect. Rather, it points to the success of the above process of taking over scientific institutions as evidence of the correctness of global warming alarmism. The 3 atmospheric scientists who are explicitly mentioned are chemists with no particular expertise in climate, itself. While, Holdren makes much of the importance of expertise, he fails to note that he, himself, is hardly a contributor to the science of climate. Holdren and Paul Ehrlich (of Population Bomb fame; in that work he predicted famine and food riots for the US in the 1980’s) are responsible for the I=PAT formula. Holdren, somewhat disingenuously claims that this is merely a mathematical identity where I is environmental impact, P is population, A is GDP/P and T is I/GDP. However, in popular usage, A has become affluence and T has become technology (viz Schneider, 1997; see also Wikipedia). 13. The 1998 paper actually only goes back to 1400 CE, and acknowledges that there is no useful resolution of spatial patterns of variability going further back. It is the 1999 paper that then goes back 1000 years. 14. Of course, Vinnikov et al did mention it. When I gave a lecture at Rutgers University in October 2007, Alan Robock, a professor at Rutgers and a coauthor of Vinnikov et al declared that the ‘latest data’ resolved the discrepancy wherein the model fingerprint could not be found in the data. 15. Haqqmisra, a graduate student at the Pennsylvania State University, is apparently still seeking greenhouse solutions to the paradox. 16. The refusal was not altogether surprising. The editor of Science, at the time, was Donald Kennedy, a biologist (and colleague of Paul Ehrlich and Stephen Schneider, both also members of Stanford’s biology department), who had served as president of Stanford University. His term, as president, ended with his involvement in fiscal irregularities such as charging to research overhead such expenses as the maintenance of the presidential yacht and the provision of flowers for his daughter’s wedding – offering peculiar evidence for the importance of grant overhead to administrators. Kennedy had editorially declared that the debate concerning global warming was over and that skeptical articles would not be considered. More recently, he has published a relatively pure example of Orwellian double-speak (Kennedy, 2008) wherein he called for better media coverage of global warming, where by ‘better’ he meant more carefully ignoring any questions about global warming alarm. As one might expect, Kennedy made extensive use of Oreskes’ paper. He also made the remarkably dishonest claim that the IPCC Summary for Policymakers was much more conservative than the scientific text. 17. Oreskes, apart from overt errors, merely considered support to consist in agreement that there had been some warming, and that anthropogenic CO2 contributed part of the warming. Such innocent conclusions have essentially nothing to do with catastrophic projections. Moreover, most of the papers she looked at didn’t even address these issues; they simply didn’t question these conclusions. 18. Perhaps unsurprisingly, The Potsdam Institute, home of Greenpeace’s Bill Hare, now has a Potsdam Institute for Climate Impact Research. 20. When I referred to the Smith et al paper at a hearing of the European Parliament, Professor Schellnhuber of the Potsdam Institute (which I mentioned in the previous section with respect to its connection to Greenpeace) loudly protested that I was being ‘dishonest’ by not emphasizing what he referred to as the main point in Smith et al: namely that global warming would return with a vengeance. 21. The matter of ‘spin control’ warrants a paper by itself. In connection with the absence of warming over the past 13 years, the common response is that 7 of the last 10 warmest years in the record occurred during the past decade. This is actually to be expected, given that we are in a warm period, and the temperature is always fluctuating. However, it has nothing to do with trends. 22. The strange identification of the CO2 caused global warming paradigm with general relativity theory, mentioned earlier in this section, is repeated by Rahmstorf. This repetition of odd claims may be a consequence of the networking described in footnote 7. 23. A curious aspect of the profoundly unalarming Indian report is the prominent involvement in the preparation of the report by Dr. Rajendra Pachauri (an economist and long term UN bureaucrat) who heads the IPCC. Dr. Pachauri has recently been urging westerners to reduce meat consumption in order to save the earth from destruction by global warming. Arnell, N.W. (2004) Climate change and global water resources: SRES emissions and socio-economic scenarios, Global Environmental Change, 14, 31-52. Choi, Y.-S., and C.-H. Ho (2008), Validation of the cloud property retrievals from the MTSAT-1R imagery using MODIS observations, International Journal of Remote Sensing, accepted. Chou, M.-D., R.S. Lindzen, and A.Y. Hou (2002b) Comments on “The Iris hypothesis: A negative or positive cloud feedback?” J. Climate, 15, 2713-2715. Crichton, M. (2004) State of Fear, Harper Collins, 624 pp. Demming, D. (2005) Global warming, the politicization of science, and Michael Crichton’s State of Fear, Journal of Scientific Exploration, 19, 247-256. Dyson, F. (2008) The Question of Global Warming, New York Review of Books, 55, No. 10, June 12, 2008. Gelbspan, R. (1998) The Heat is On, Basic Books, 288 pp. Government of India (2008) National Action Plan on Climate Change, 56pp. Happer, W. (2003) Harmful Politicization of Science in Politicizing Science: The Alchemy of Policymaking edited by Michael Gough, Hoover Institution 313 pp (pp 27-48). Hartmann, D. L., and M. L. Michelsen (2002) No evidence for iris. Bull. Amer. Meteor. Soc., 83, 249–254. Journal of Climate., 19, 5686-5699. Holland, D. (2007) Bias And Concealment in the IPCC Process: The “Hockey-Stick” Affair and its Implications, Energy & Environment, 18, 951-983. IPCC, 1990: Climate Change: The IPCC Scientific Assessment [Houghton, J. T et al., (eds.)]. Cambridge University Press, Cambridge, United Kingdom and New York, NY, USA, 362 pp. IPCC, 2001: Climate Change 2001: The Scientific Basis. Contribution of Working Group I to the Third Assessment Report of the Intergovernmental Panel on Climate Change [Houghton, J.T., et al. (eds.)]. Cambridge University Press, Cambridge, United Kingdom and New York, NY, USA, 881 pp. Kennedy, D., 2008: Science, Policy, and the Media, Bulletin of the American Academy of Arts & Sciences, 61, 18-22. Lee, M.I., M.J. Suarez, I.S. Kang, I. M. Held, and D. Kim (2008) A Moist Benchmark Calculation for the Atmospheric General Circulation Models, J.Clim., in press. Lin, B., B. Wielicki, L. Chambers, Y. Hu, and K.-M. Xu, (2002) The iris hypothesis: A negative or positive cloud feedback? J. Climate, 15, 3–7. Lindzen, R.S. (1999) The Greenhouse Effect and its problems. Chapter 8 in Climate Policy After Kyoto (T.R. Gerholm, editor), Multi-Science Publishing Co., Brentwood, UK, 170pp. Lindzen, R.S. (2007) Taking greenhouse warming seriously. Energy & Environment, 18, 937-950. Lindzen, R.S., M.-D. Chou, and A.Y. Hou (2001) Does the Earth have an adaptive infrared iris? Bull. Amer. Met. Soc. 82, 417-432. Mann, M.E., R.E. Bradley, and M.K. Hughes (1998) Global-scale temperature patterns and climate forcing over the past six centuries,” Nature, 392, 779-787. McIntyre, S. and R. McKitrick (2003) Corrections to the Mann et al. (1998) proxy data base and Northern hemispheric average temperature series,” Energy and Environment, 14, 751-771. Northern hemisphere climate index: Update and implications, Energy and Environment, 16, 69-100. National Academy of Sciences (1992) Policy Implications of Greenhouse Warming:Mitigation, Adaptation, and the Science Base, National Academy Press, 944 pp. Oppenheimer, M. and R.Boyle (1990) Dead Heat, The Race Against the Greenhouse Effect, Basic Books, 288 pp. Oreskes, N.(2004) The scientific consensus on climate change. Science, 306, 1686. Schneider, S.H., (1997) Laboratory Earth, Basic Books, 174pp. Sagan, C. and G. Mullen. (1972) Earth and Mars: evolution of atmospheres and surface temperatures. Science, 177, 52-56. Shackleton, N., and A. Boersma, (1981) The climate of the Eocene ocean, J. Geol. Soc., London, 138, 153-157. Politicizing Science: The Alchemy of Policymaking edited by Michael Gough, Hoover Institution 313 pp (pp 283-297). Singer, S.F., C. Starr, and R. Revelle (1991), “What To Do About Greenhouse Warming: Look Before You Leap,” Cosmos 1 28–33. Weart, S. (2003) The Discovery of Global Warming, Harvard University Press, 228 pp. Zedillo, E., editor (2007) Global Warming: Looking Beyond Kyoto. Brookings Institution Press, 237 pp.